Debra, author of the Writing Alive Curriculum K-8 and materials, consults with school administrators and conducts Writing Alive classes. Her favorite part of her week is when she works in classrooms with students, modeling Writing Alive lessons and meeting with teachers. Her curriculum helps school districts across the United States transform their approach to writing instruction. 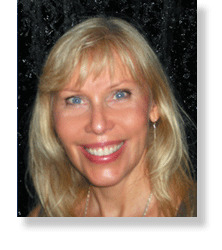 With a Masters in Curriculum and Instruction and 23 years of classroom experience, Debra designed Writing Alive to show how to integrate all six components of writing (structures, grammar, process, traits, genres with planners and brainstormers and goal setting/assessment) with researched learning strategies in weekly lessons for ALL learners. Totally committed to the idea that with the right tools any student can become a successful writer, Debra and her consulting staff empower teachers with the Writing Alive curriculum, classes and coaching/implementation support. As a result, their students gain valuable writing skills and improve their test scores. Since all Writing Alive consultants have taught Writing Alive successfully in their classrooms for 3-10 years, they have seen the incredible results and are excited to share their expertise. Most are still having fun teaching Writing Alive in their classrooms and consulting for Writing Alive part time, so they know and understand teaching and its challenges. Reed, CEO of Writing Alive, uses his background in management consulting and technical writing to work alongside Debra to keep the company running smoothly. He expands awareness of Writing Alive and how it helps schools meet and exceed the Common Core State Standards.